It’s off the beaten path and unique– For many of you who scroll through Pinterest for wedding inspiration, rustic and barn weddings seem to pop up a lot. There is a reason for this, while this style is trending, it is one that admired by many and done by few. Part of the reason for this is finding the right venue to celebrate in. (We happen to know a great one!) 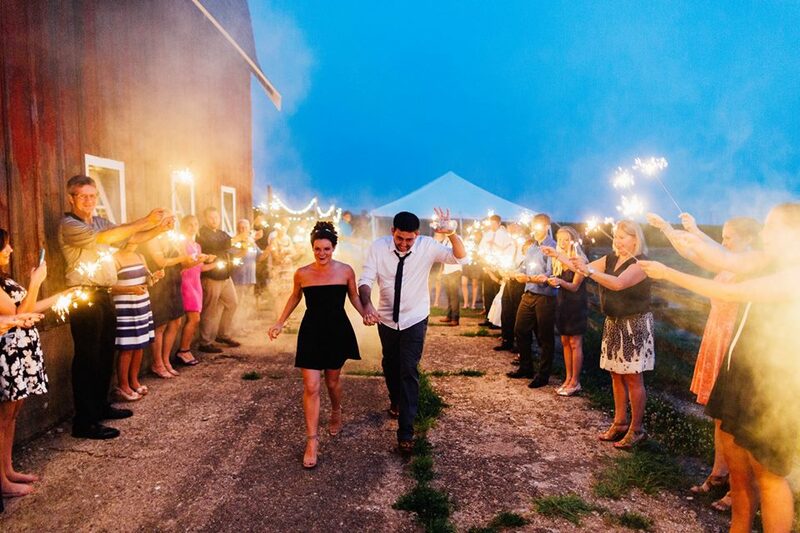 Having a barn wedding offers a unique experience for both you, and your guests to enjoy. You enjoy country/rustic décor– Mason jars, dainty string lights and refurbished antiques galore! It doesn’t have to look perfect– Let’s be real here, part of the charm of a rustic wedding is the undone, but still put-together chicness of it all. And trust me, no one will notice if a light is out of place or the door creaks. Everyone is going to be too busy ooh-ing and ahh-ing over the overwhelming beauty of your wedding day. It can be as fancy or as casual as you like– ‘nuff said. It is essentially a blank canvas– With high arched ceilings and beams or exposed brickwork. Each couple can take the space to design the wedding how they like. It’s the total package- the possibility, the history, the authentic charm. It’s everything you could possibly want in a wedding venue.